Home BUSINESS A Thika Court orders Kiambu County to process Tatu City building approvals in 30 days. A Thika Court orders Kiambu County to process Tatu City building approvals in 30 days. The Environment and Land Court in Thika has ordered the Kiambu County Government to process building approvals submitted by Tatu City within the next 30 days. The directive came after the developer sought the court’s intervention under certificate of agency in which they accused Governor Ferdinand Waititu of blackmail after they declined to surrender a portion of land in order to facilitate approval of architectural designs in 22 land parcels within the county. In court papers filed on March 12, the applicant sought an expedited ex-parte hearing after the county reportedly disregarded a court order issued on April 18, 2018, which directed the Land, Housing, and Physical Planning department to consider architectural plans within the 90-day period provided for under the Physical Planning Rules of 1998, pending determination of the case. The applicant had also moved to commit the Chief Executive Committee member and Chief Officer in charge of Land, Housing, and Physical Planning to civil jail over contempt of court. Tatu City told the court that intimidation by county officials was prejudicial to its business operations. 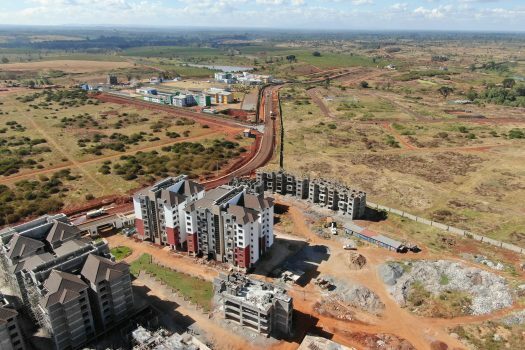 “The developers will no longer be able to preserve, promote, and enhance land value through sustainable development within Tatu City by guaranteeing development control which minimizes negative impacts of developments through enforcement of design guideline compliance,” lawyers representing Tatu City told the court. The matter will be heard on May 8 to confirm compliance with the order. Waititu and developer have been locked in a row after the investor declined to surrender 10 per cent of its 5,000-acre land to the county. The court will give further directions on the matter upon confirming compliance on May 21. Meanwhile, Tatu City has installed its first solar power plant to generate at least 1.4 million kilowatt-hours per year, the same amount of energy consumed by 8,500 people. The panels by Equator Energy are part of the mixed-use development ambitious 30MW solar power generation. The installation comprises of 2,880 solar modules that have been mounted on 5,700 square meters of roof space at Dormans Coffee’s global headquarters at Tatu Industrial Park. “The power will be distributed for use by homes and businesses within the city,” said Langford. “Solar power allows us to contribute to clean energy, which is one of the United Nations Sustainable Development Goals,” Langford said.